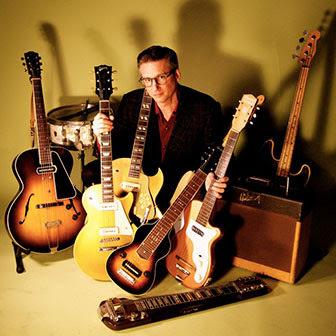 Honky Tonk BBQ is proud to present the Saloon Stage, hosting a full schedule of live music that covers the genres of American Roots music from the roaring 20’s to the groovy 60’s; Western Swing, Honky Tonk, Rockabilly, Bluegrass, Blues, Old Time, Soul, and occaisionally new age indie and rock. Besides samba, Dill is an expert in jazz, tap, modern, and folk dance of Brazil. She was an instructor of Brazilian regional dance forms for many years. 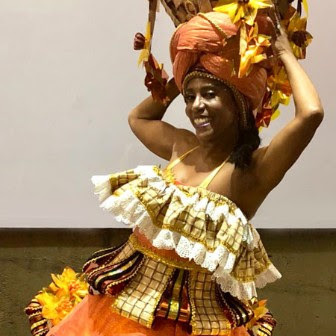 Since relocating to Chicago in 2003, Dill has dedicated herself to music, and can be seen regularly singing with the Evanston Escola de Samba, Cor do Brasil, and her own trio, singing the classics of Brazilian samba, bossa nova, and Brazilian jazz and pop. Her repertoire ranges from classic 1940’s era sambas of Ary Barroso and Noel Rosa, to the cool, 1960’s bossa nova hits of Antonio Carlos Jobim, to the modern Brazilian pop of Caetano Veloso and Carlinhos Brown.Fusing everything from salsa, mambo, and cha to cumbia, merengue, reggaeton, bachata and other traditional styles from Cuba, Puerto Rico, Costa Rica and Colombia to celebrate the diverse cultures that have contributed to this vibrant genre of music. World traveler and guitarist Jake Sanders is briefly in town and he will be joining Joel and Beau a jazzy and bluesy string session. This will be a rare oportunity to see this trio!! The south side of Chicago, where the city’s blues scene originated, is where Harry Hmura grew up. 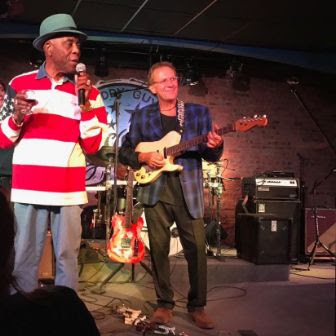 Frequenting clubs at an early age in the heart of it all, playing alongside blues legends on a regular basis, is where Harry’s “Windy City” guitar style began. It’s a collective and unique blend of a blues/rock sound having drawn influences from many guitarists in its realm. Harry met B.B. King when he was only 13 years old. It had brought inspiration ever since and he has never looked back, capturing the attention of audiences around the world. Bubbles Brown is a two-piece early blues outfit from Chicago, IL. Bubbles (Guitar, Vocals) and Washboard Ben (Percussion, Vocals) cut their teeth on the blues deep in the subways of Chicago, busking for change and the occasional dollar. Using only a guitar, washboard, sock cymbal, assorted percussion and a suitcase bass drum -the duo and their lean, archaic setup evoke the home-spun, kitchen-sink aesthetic of rural, pre-war blues and country, while blending into it an aggressive and modern electricity to create a sound at-once both nostalgic and distinctly progressive. 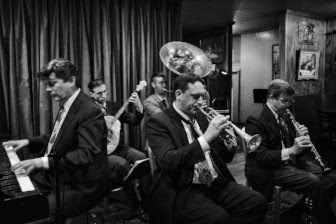 The Bubbles Brown sound defies expectations, and their rich and reverent brand of the blues, country and jazz of the 20s and 30s greatly exceeds the sum of its parts, transforming stages of any size into roadside juke joints and skeptics into believers. “Chicago’s original honky-tonk fools,” the Gin Palace Jesters are purveyors of the finest in hard hitting hillbilly Honky-tonk, Country Boogie and Western Swing . 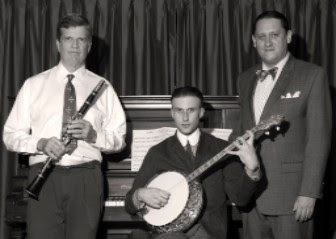 Infused with a deep and sincere fondness for all traditional American musical styles, the sound of the Gin PalaceJesters could best be described as being akin to the sounds of Country Music’s “Golden” age. Although a portion of their live performances come from their vast catalog of the Hillbilly & Country Hit Parade, these boys are not mere followers or imitators. They also posses the talent of 3 songwriters performing original novelty numbers, heartfelt love songs, honky-tonk weepers, drinking songs and dark ballads. 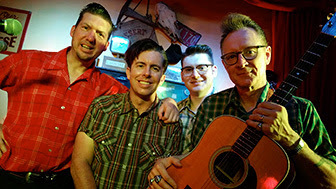 Delivering 3 and 4 part country harmony, the Gin Palace Jesters prove that authentic country and cowboy music can still hold validity in both traditional songs as well as brand new originals. The Gin Palace Jesters are a true authentic American band often seen holding court where the thrones are bar stools, the lights are made of neon, the holy spirits are served on the rocks, and Hank Williams is King.